Choosing light, bright pastels for the walls of any room is a great place to start. Think off-white, pale yellows, hints of blue and gentle pink shades for kitchens, bathrooms or bedrooms. A simple decoration of some bunting, using natural fibres like string or rope is another easy way to instantly bring some rustic charm. A simple basis for any room is to paint the walls a cool grey or chalky white and make the flooring dark and wooden. Natural materials are essential for a country look, so consider furniture made from oak or pine, lots of greenery and fresh foliage and accessories made from wood, rope, pine cones or cotton. Don’t be tempted by the contemporary, industrial design of many of today’s appliances, but instead choose items in a retro, antique or vintage style. Think retro fridges, toasters, oven and kettles to bring a warm, cheerful vibe to your kitchen. 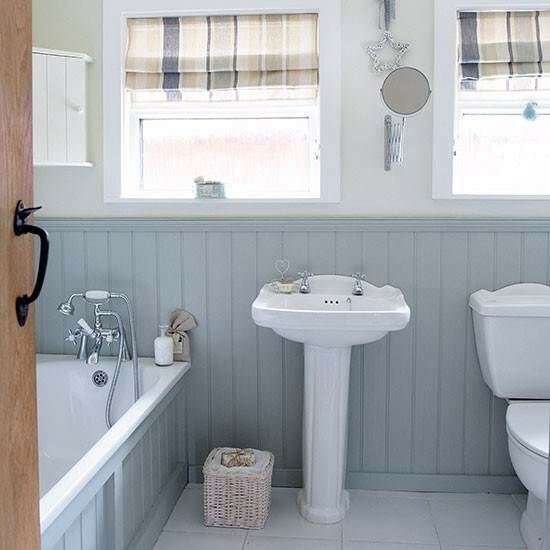 For a fresh yet traditional rural look, consider covering a bathroom or bedroom wall in some tongue and groove wood panelling. Painted in a light shade, such as white, off-white or mushroom will give your room an instant bright and almost Scandinavian feel. When we think of quaint country cottages, we see shutters on the windows. Consider replacing current curtains and blinds with traditional shutters. Full-length shutters work best in bathrooms and bedrooms, while café-style suit ground floor rooms. Country chic can be achieved by choosing classic fittings. For example, beautiful roll-top, claw-foot bath tubs and traditional pull-cord toilet cisterns. Brass bathroom fittings provide olde-worlde charm and stick to panelling or painted walls as opposed to modern wall tiles. Break up plain walls with painted motifs or a stunning stencil design. Creating a country feel is all about simplicity, natural materials, warmth and lots of wood. 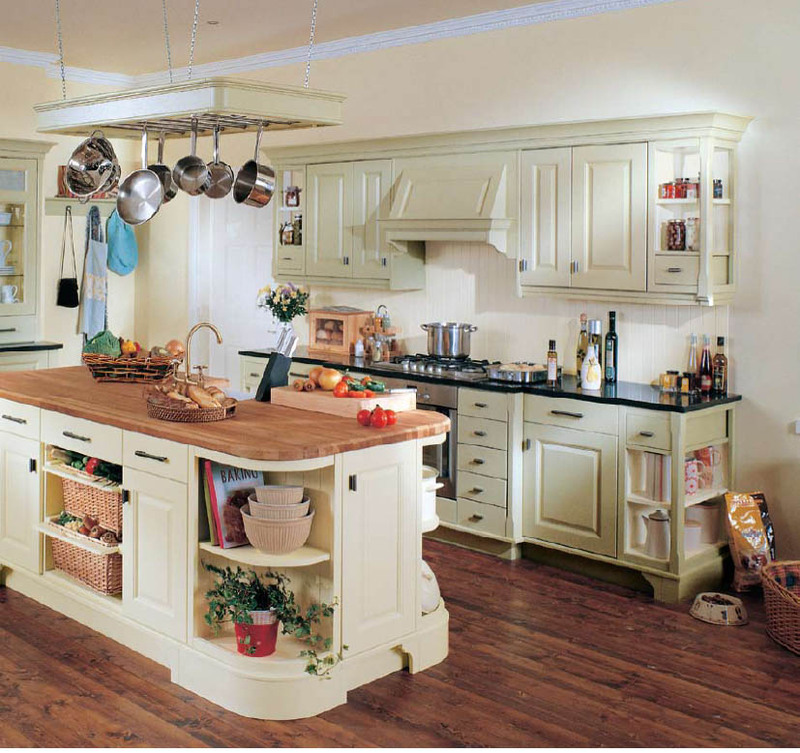 Consider oiled wood kitchen worktops combined with some vintage tin accessories for the ultimate country-kitchen vibe.